Practical, stylish and a great gift. 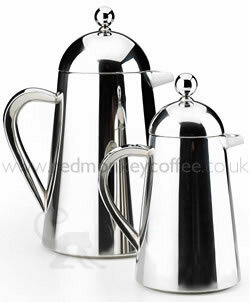 The stylish way to keep coffee hot for three times longer than a standard cafetiere!. 18/8 Stainless steel body and lid. 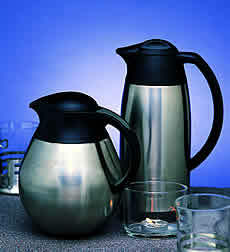 Available in two sizes  1 litre / 8 Cup or 350ml / 3 Cup. With a double-walled design combined with the classic la cafetiere plunger system, this is fit for silver service coffee making.